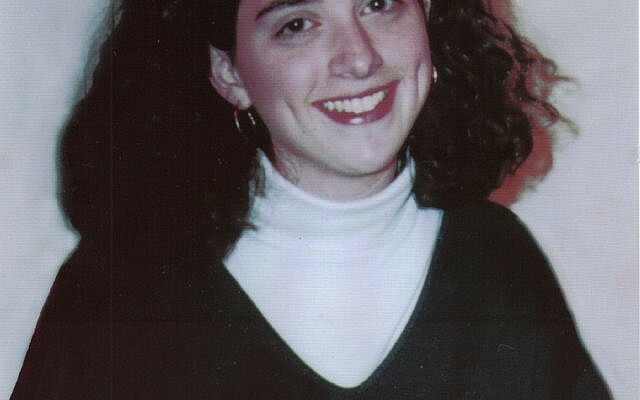 The 21st yahrzeit of my daughter Alisa Flatow, Hy”d, falls on 10 Nissan — April 18 this year. I’d like to share with readers of The Times of Israel some personal reflections on the events of 1995 and what has happened since. I have a photo of Alisa on my office wall. Taken at a dinner with a friend and her parents from the US who were visiting Jerusalem, it was one of the last photos of Alisa before her murder by Palestinian terrorists in April 1995. Alisa’s face is radiant, her dimples are deep. Her thick hair is at her shoulders. A visitor to my office after looking at the pictures of my married children turned back to look at Alisa’s picture and asked, “Do you have anything more recent?” As the words escaped from her lips she threw her hand to her mouth, realizing what she had said. While I thought our family life would come to a screeching halt after Alisa’s murder, I was wrong. In fact, the opposite happened: it accelerated — with bumps and false starts, certainly, but nonetheless going forward. One morning shortly after shiva ended, I didn’t want to get out bed. As I contemplated pulling the cover over my head that morning I realized there was a nation where, at that time, more than 18,000 families had gone through the same thing we had — the loss of a child and sibling. Multiply that number by the grandparents, aunts, uncles, and cousins and, well, you get the picture. As I wallowed in bed, I realized that those families who were affected by war and terror in Israel got up from shiva and began to get back to living. They did so by putting one foot in front of the other. They went back to work. They tended to their homes. They raised their families. Despite the suddenness and depth of their loss, they began again to build the work in progress we call Israel. And so Rosalyn and I and our children — Gail, Francine, Ilana, and Etan — returned to the normal things the families I mentioned do. We started down the road to rebuilding. While all of us were under a magnifying lens because of what happened to Alisa, we didn’t let that attention get in the way. Gail returned to Israel to finish her gap year program in Jerusalem. Francine, Ilana, and Etan returned to their yeshivot. Make no mistake. I began my mornings for the first year after Alisa’s murder with a good cry, usually when I came out of the shower. As I drove to work, I would sometimes have to pull off the highway because I couldn’t see through the tears. At the office, while in the middle of drafting a document, I’d cry again and find myself just staring at the computer monitor but not seeing anything. But it dawned on me that, to him, the escrow was the most important thing in his life right then and he’d have to find out for himself and in his own way that there was no need to get upset over the release of money. We were told our family was very popular in Israel, but a mystery at the same time. Not only because of Alisa’s murder — and the attention it received in Israeli newspapers — but also due to the fact that we donated her organs for transplant and, perhaps more important, we didn’t rant and rave against the Israeli government or the Oslo Accords. Remember, the national religious parties were still up in arms over the Rabin-Arafat handshake on the White House lawn; were upset that Arafat was continuing to say one thing to the Western media and quite another to the Palestinian media; and were outraged that the Rabin government was using administrative detention to suppress right-wing protest. And here I was, a knit kippah-wearing American Jew who would not point the finger of blame at the Israeli government for Alisa’s murder. I guess the reaction was noticed at high levels because I was invited to appear, remotely, with Prime Minister Rabin on a TV program that would be released a few weeks later on Yom Ha’Atzmaut. Speaking about Alisa at the AIPAC conference in May, Rabin said: “Today her heart beats in Jerusalem.” He then announced that he was coming to our home to pay a condolence call (something he didn’t do with the families of Israeli terror victims). As a result of our embrace by Rabin, our home became a popular stopping point for Sunday visits by Israeli politicians who were in America. Sunday after Sunday, for many months, Israeli consulate officials with Knesset members in tow would arrive at our home. They’d express their regrets about Alisa’s murder and their thanks for opening their eyes to the mitzvah of organ donation. Photos taken, they were back in the van for the ride to who knew where next. We began to be invited to events in the metropolitan New York area, too. The New York City Council presented us with a Proclamation lauding the donation of Alisa’s organs. And we found ourselves in attendance at Israel-related programs sponsored by New York City and State and Israel’s New York Consulate. We traveled to Israel in September 1995. What would it feel like? That was the question we kept asking ourselves. Guests of Nishmat, where Alisa had been a student at the time of her murder, we arrived to a hotel room full of flowers, including from Prime Minister Rabin, who regretted he couldn’t meet with us because he was leaving the country. Our plans while in Israel included a meeting arranged by the Maariv newspaper with the surviving recipients of Alisa’s organs — something that had not yet been done in Israel or the United States. We met them, two middle-aged men and a woman, in our hotel’s lobby. Over a one-hour period they related how their lives had radically changed since the transplant. The heart recipient was able to attend his first grandson’s brit, the kidney recipient was off dialysis, and the lung recipient was able to leave her apartment for the first time in a year without the need for oxygen. As a result of that meeting I understood for the first time the power of the mishnah that reminds us of the effect of saving a life. I was very fortunate that a few months after Alisa’s murder I was invited by the United Jewish Appeal and the Development Corporation for Israel, commonly known as Israel Bonds, to become a member of their respective speakers bureaus. Both groups thought I had an interesting story to tell — one that would resonate with Jewish communities across the United States. Thus began about five years’ worth of seemingly non-stop engagements in the United States and Canada attending programs in synagogues, law firm conference rooms, hotels, country clubs, and living rooms. There were times I would tell Alisa’s story three times a week. One weekend, because it included Yom Ha’Atzmaut, I spoke motzaei Shabbat in Rockland County and the next day at a breakfast and then at lunch at two shuls in Queens. Looking back, I realize how very lucky I was to be able to speak about our experience as often as I did because, while I found each speech emotionally draining, it was allowing me to let off steam. My talk would begin with Alisa’s decision to go to a yeshiva instead of public school, our encouragement of her to travel and study in Israel, her murder, and the unity of the Jewish people. I would give examples of how people cope with the situation we found ourselves in. Many times people would tell me after I spoke that they didn’t know what to say to help ease the pain. I would agree with them and say that if they were to find the right words, we could sell them to Hallmark cards and then retire on the residuals. The 9/11 attacks put a damper on my willingness to fly around the country as the security requirements of just getting on a one-hour flight to Boston or Chicago could take an entire morning. I still do speak, and find that more than twenty years later, Alisa’s story still resonates. One of the themes of my talk is the need to stand up for your principles, one of which should be recognition that all Jews comprise one family and that if we don’t stand up for our family, no one else will. That’s a trite statement, I know, and it means different things to each of us. However, it forces us to recognize that we just can’t “talk the talk” but have to “walk the walk.” In other words, act on your beliefs. In our case, it meant giving substance to our beliefs not only concerning the imperative to fight terrorism, but also in the importance of providing a Jewish education to our youth combined with study and travel to Israel. 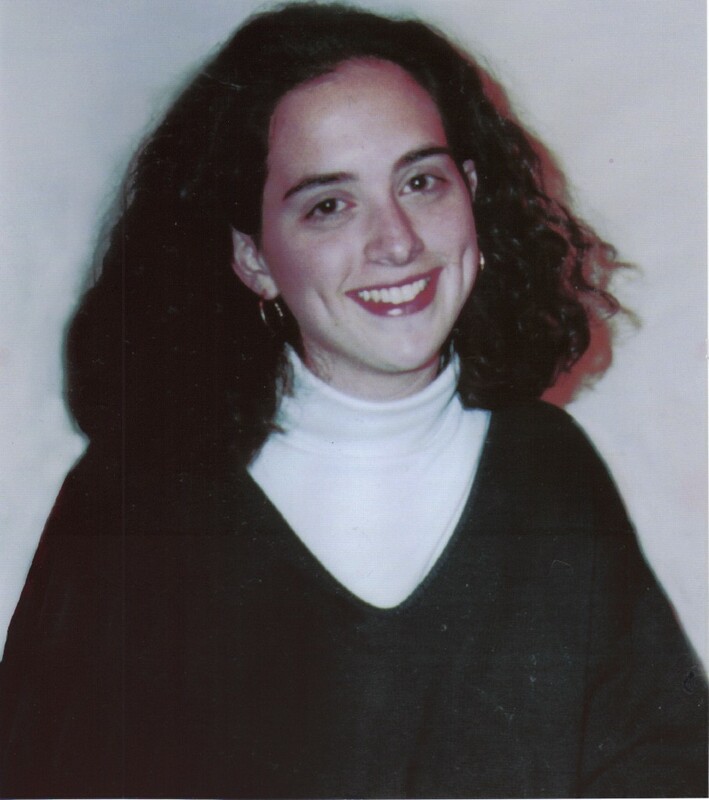 Within days of Alisa’s murder we put our beliefs into action by establishing the Alisa M. Flatow Memorial Scholarship Fund to provide financial awards to students wishing to enter a full-year program of religious study in Israel. With that in mind, we have given awards to a young man who resigned his US Army officer’s commission to join the rabbinical program at Hebrew Union College, to a young woman who attended a Conservative day school, and to a woman who had recently discovered she was Jewish. And then there’s the lawsuit. A law with an unwieldy name — the Anti-Terrorism and Effective Death Penalty Act of 1996 — was enacted a year after Alisa’s murder. Although we were invited to attend the bill-signing on the White House Lawn, Rosalyn and I declined. The Clinton administration had done so little to address the terror attacks in Israel that had the fingerprints, if not the outright complicity, of the Palestinian Authority and Yasir Arafat that we thought our attendance would be nothing more than window dressing for the president. So, instead of traveling to Washington, we went to our daughters’ yeshiva in Suffern to attend an open house for prospective students. But one of the provisions of the law caught my eye because it gave victims of “state sponsors of terrorism” the right to sue those states in an American court. We knew that Palestinian Islamic Jihad had conducted the attack and we soon learned that the Islamic Republic of Iran, a “state sponsor of terrorism,” was its financial backer. I was introduced to Steven Perles, a lawyer in Washington who was interested in representing our family. This was the genesis of a pursuit that, as far as I am concerned, is not yet finished. But before we could get started, we had to resolve some questions posed by the recently passed law. Where could we file our lawsuit? What damages could we ask for? The law didn’t say. My introduction to how things get done in Washington began as we walked the halls of Congress to lobby for support of an amendment to the law that would answer those questions. The months of lobbying paid off in September 1996, when Congress enacted another law with an unwieldy name, the Civil Liability for Acts of State Sponsored Terrorism amendment, which quickly became known as the Flatow Amendment. It gave us and other victims the tools we needed to go after Alisa’s murderers. Unknown to us at the time, the amendment would lay the groundwork for a battle within the government. In effect, Congress had given the courts control of these terrorism cases and gently moved foreign policy away from the State Department and to my lawyers and me. Our lawsuit was filed on February 26, 1997, and 13 months later our family was awarded almost $250,000,000 in compensatory and punitive damages. But that award was only the beginning of a battle — not with the Iranians, but with the U.S. government as we attempted to seize Iranian assets located in the United States and our own government took steps to protect those assets. One asset we located was an office building at 650 Fifth Avenue in New York City. The 34-story building was owned by the Alavi Foundation, a nonprofit dedicated to promoting Persian culture and scholarship. We believed the foundation was a façade for the Iranian government’s goal of setting up Islamic centers in the U.S. that would be favorable to the ayatollahs in Tehran. Reporter Kenneth Timmerman had previously detailed how Ayatollah Khomeini had forced the Alavi Foundation board of directors to resign, replacing them with sympathizers to the new Islamic Republic. The US government appeared in court time and again on the side opposite ours and our lawyers were not surprised when the judge released the Alavi Foundation’s property in New York from the levy we had made and granted a motion to keep us from trying to go after any of its other properties. But 15 years later, we would receive a small sense of vindication regarding the Alavi Foundation. In 2006, Eitan Arusy, an intelligence analyst at the district attorney’s office in Manhattan who specialized in illegal Middle Eastern financing, contacted me about the 1999 Alavi case we had lost. I didn’t realize it at the time, but Eitan had been one of the first responders to the bus bombing in Kfar Darom that killed Alisa. Arusy’s research caused the district attorney’s office to look closer at the Alavi Foundation. They soon discovered that the foundation had received millions of dollars from the Iranian-owned Bank Melli. There was another surprise, other banks were involved in these transfers but had removed their names in order to avoid detection. As a result, the federal government obtained $12 billion in settlements with the banks, including $8.9 billion from BNP Paribas, a French bank, alone. And in April 2014, Preet Bharara, the Manhattan US attorney, announced that the Alavi Foundation skyscraper, the property the U.S. had protected from our levy, was seized and would be sold. Our family won’t see a dime from that seizure, but other terror victims might and knowing that we were right to pursue the building is satisfactory compensation. In the years since Alisa’s murder, our four other children married and began their own families. We now have 16 grandchildren, two of them sabras. Four of the girls are named after Alisa, whose Hebrew name is Chana Michal. We have a Chana Michal Nechama, whom we call Michal; a Chana Michal Ahuva, whom we call Hannah; a Maayan Alisa; and an Aliza Chana. 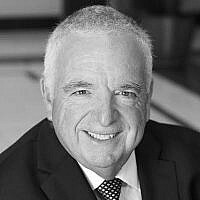 Stephen M. Flatow is an attorney living in New Jersey. He is the father of Alisa Flatow who was murdered by Palestinian terrorists in April 1995 and founder of the Alisa Flatow Memorial Scholarship Fund. Stephen M. Flatow is the father of Alisa Flatow who was murdered by Iranian sponsored Palestinian terrorists in April 1995 and the author of "A Father's Story: My Fight For Justice Against Iranian Terror."